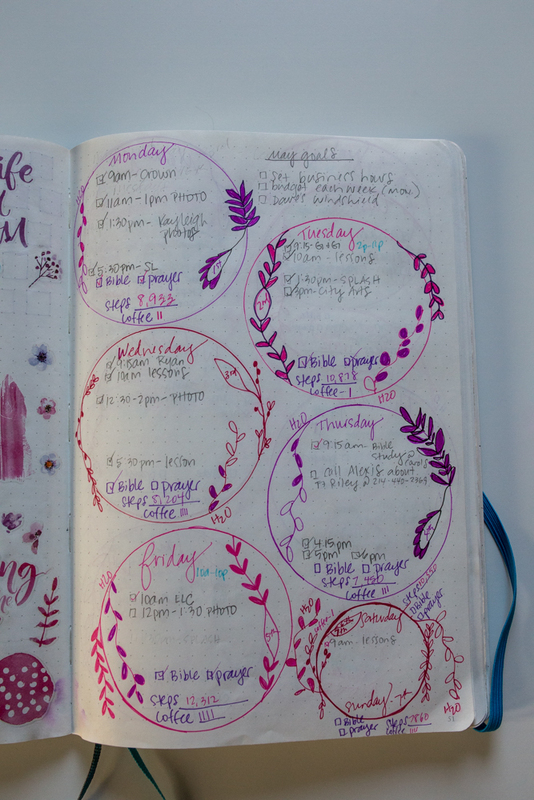 Back in January I shared how I had began a bullet journal for 2017 and today I wanted to do a follow up post with how the year went bullet journaling. 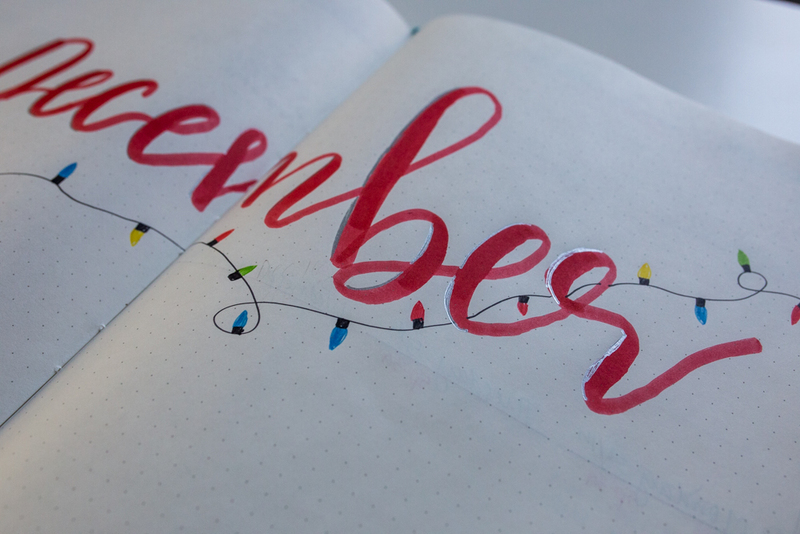 First, I'm so glad I chose to go with a bullet journal this year. It gave me a creative outlet to make something every month. 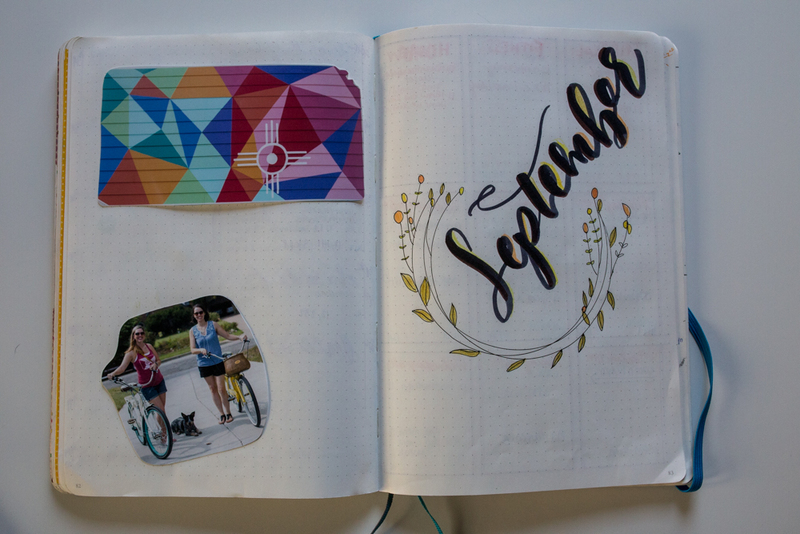 Every month I would look on Pinterest for some inspiration and then would create my monthly planner. If you want to see lots of pins for hand lettering you can see my Pinterest board here. It's fun. 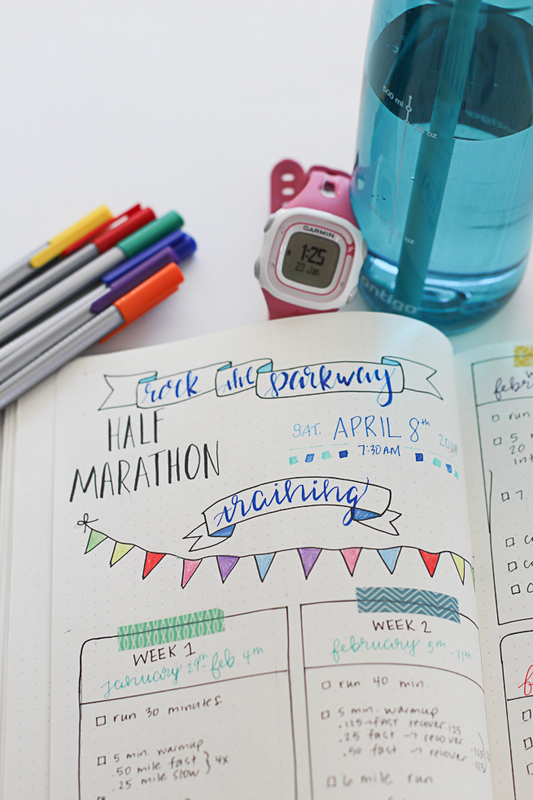 I also created a section in my bullet journal for photography goals and I did a half marathon training plan, that I am happy to tell you, has been read over 2,500 times, has been pinned around 600 times with my pin being viewed 8,200 times. That's a big success for my blog! I listed my supplies in my previous post but wanted to do so again here. Here are the main supplies I used over the year. -Staedtler Pens - These are the ones in the pink roll up pouch that you will see in my pictures. I actually got these from Korea in 2012 but you can purchase them on Amazon. 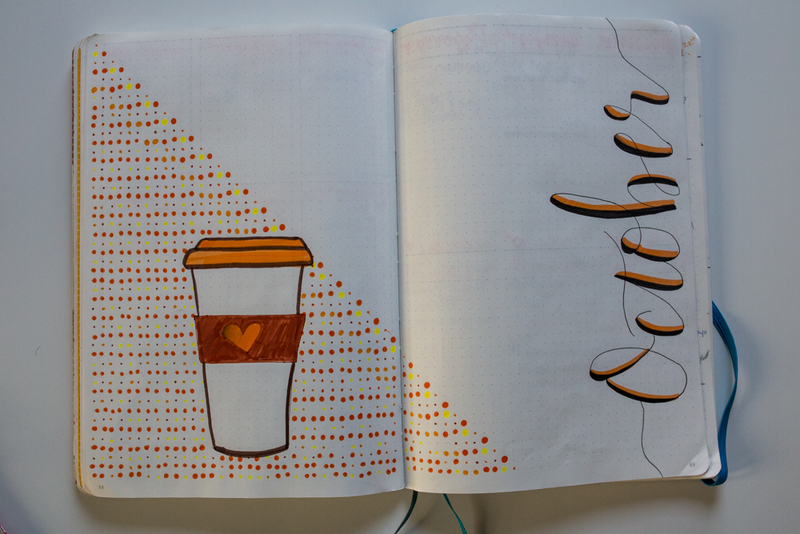 They do not bleed through the pages in a Leuchtturm notebook. -Micron Pens - These pens have a fine point and make really pretty lines. They can be purchased at any major craft store or on Amazon as well. These pens won't bleed through a Leuchtturm notebook. I started the year out by trying to track how many cups of coffee I drank, how much water I drank and how many steps I took. Let's just say that didn't last the entire year because I'm not that disciplined to track that but it was really fun to see where I was at with that when I did track it. I tried to write down memorable events so I could look back on the year and see all the things we got to do. I'm really glad I did that and if you bullet journal I highly recommend that. 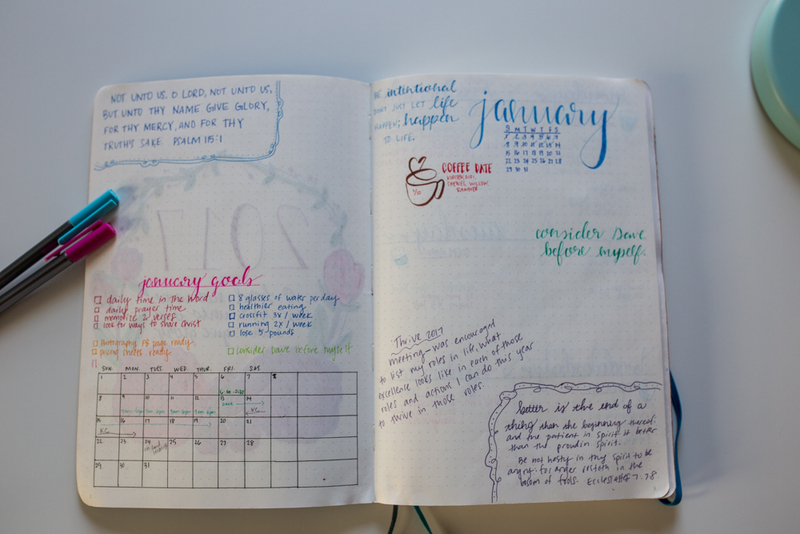 Some months were really fancy and detailed and some months were a very simple layout. I liked the simple better but it was fun to try different things. 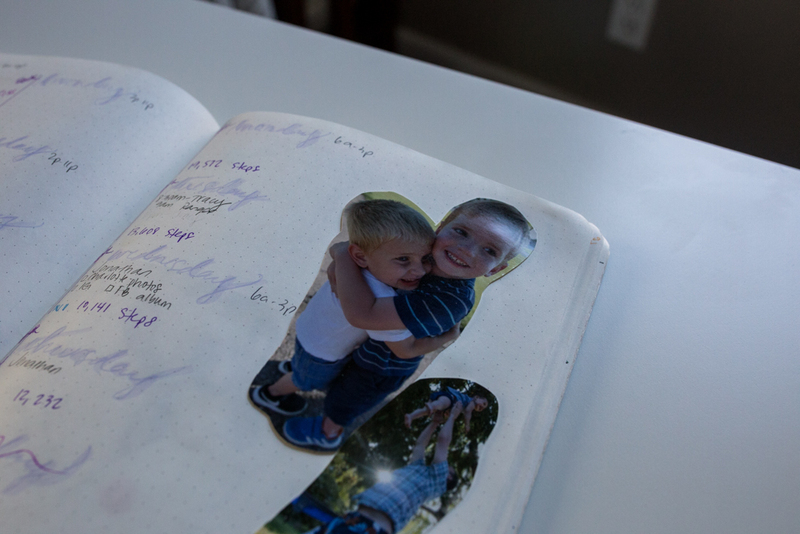 I also have been adding pictures to my journal and plan to keep it as a scrapbook to look back on. 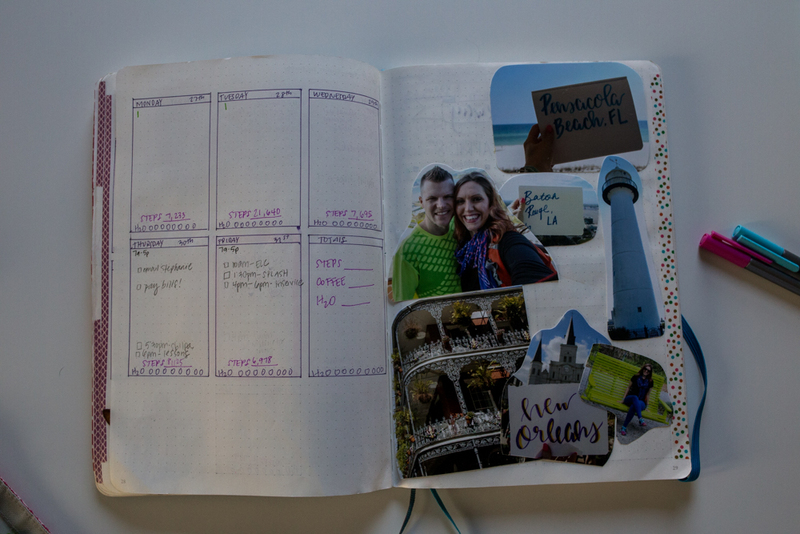 January was a detailed layout. My first month doing this so I went over the top. 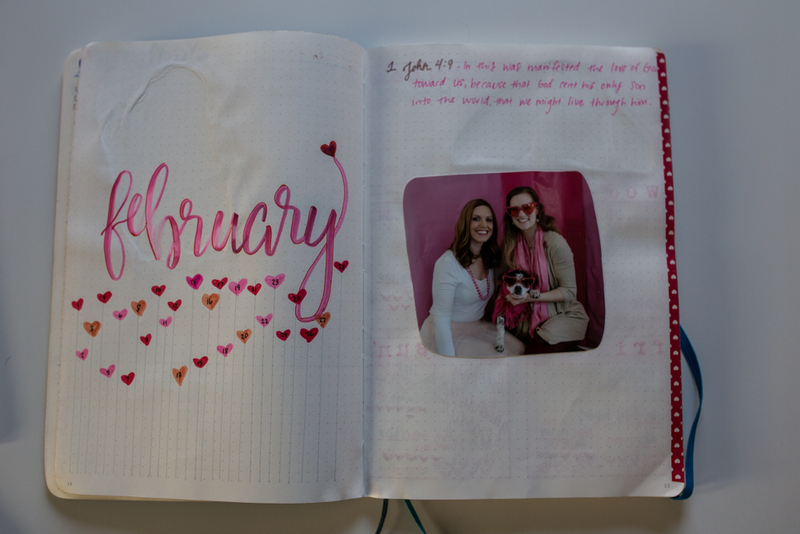 February - This was one of my favorite months to create. 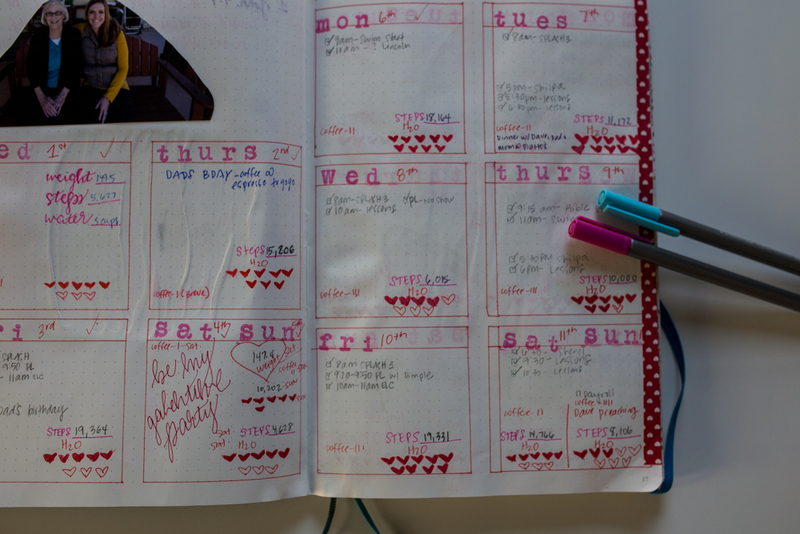 I love the hearts for the days and I tried to make each day look like a little valentine card. 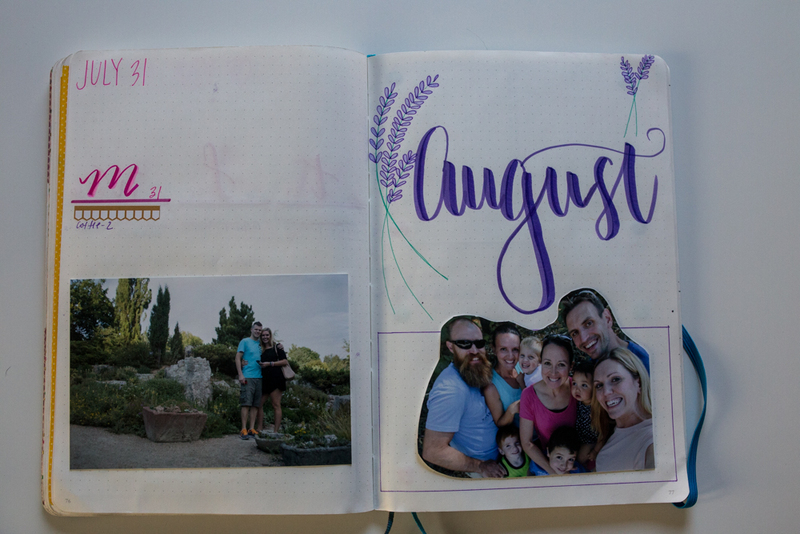 You'll also see that glue RUINS the pages but thankfully I figured out what glue dots were before I got to December. March was my favorite month this year. Dave and I had such a great trip to Florida and we both agreed that this was our favorite trip of the year. Yay March! Plus, we got our pictures taken again at the beach in Pesnacola and that place will always be near to my heart. April - Really fun to draw this but it wasn't a very eventful month, which I liked. 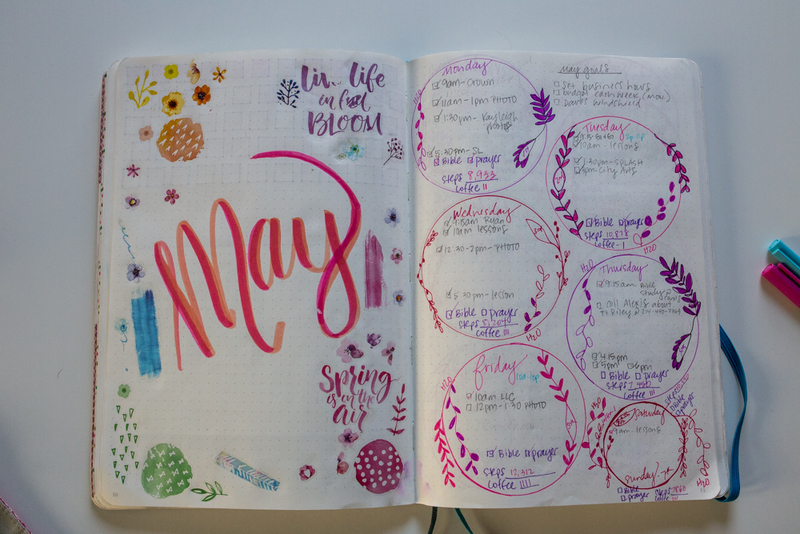 May - This layout was fun but WAY TOO BUSY for practical purposes. 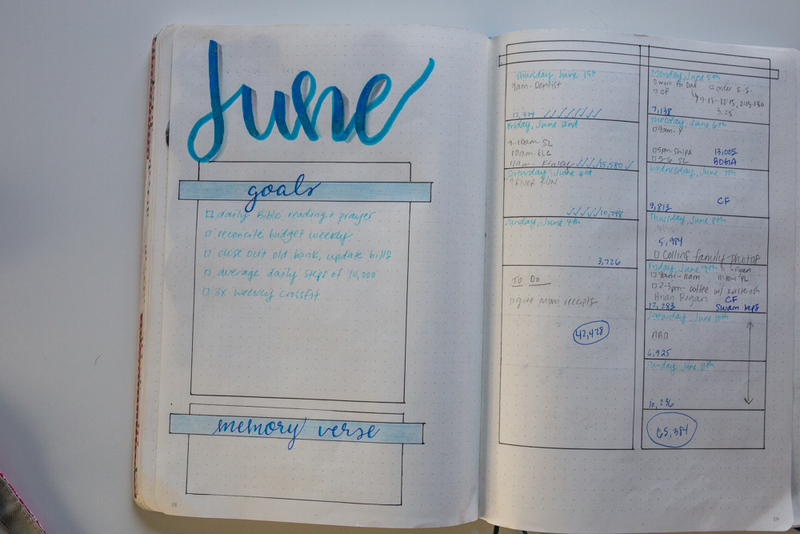 If you plan to start a bullet journal I recommend that you make sure you have the time. 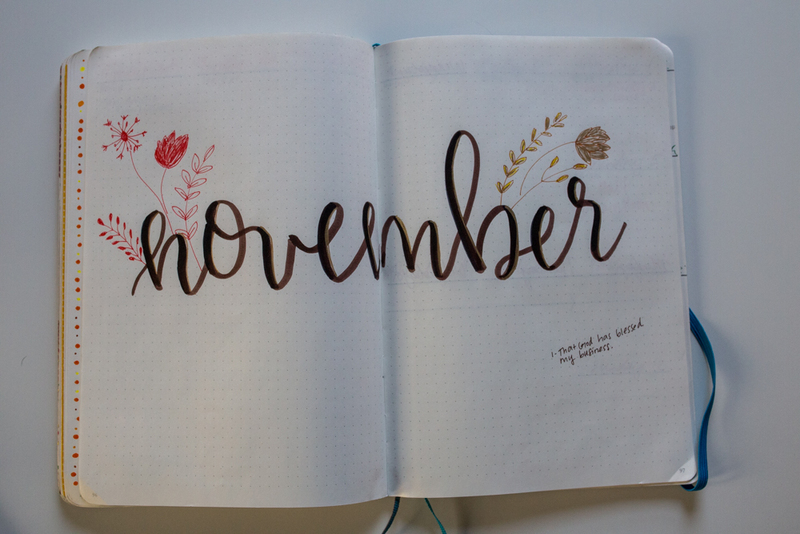 It was a big time commitment and if I didn't make time I wouldn't have had a planner for that month. It was a lot of fun though and helped me practice handlettering and art. 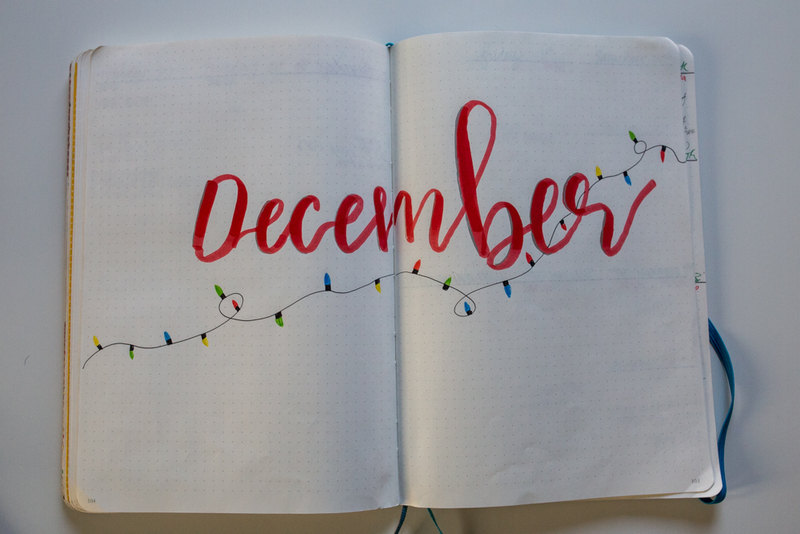 I don't plna to do a bullet journal this year for a planner but I have purchased antoher Leuchtturm notebook so I can do a monthly page (kind of like what you see here in this post) and I plan to add pictures to it. I guess I'll call it a bullet journal scrapbook. I'll put goals, events, Bible verses and photos in there. It will be fun. How do you track your years events? 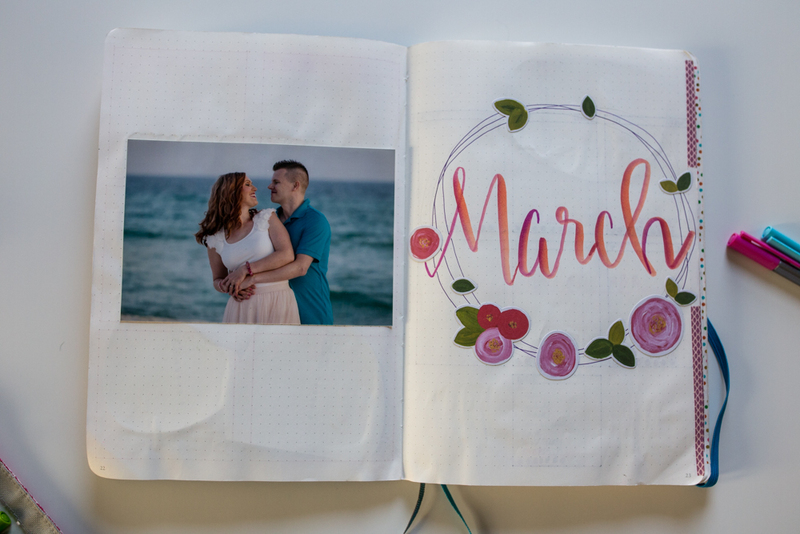 Do you make a scrapbook? 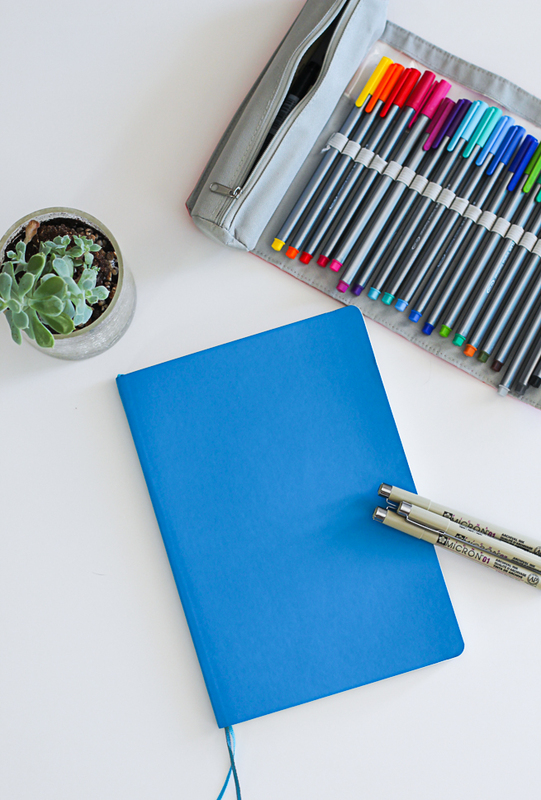 Have a planner? 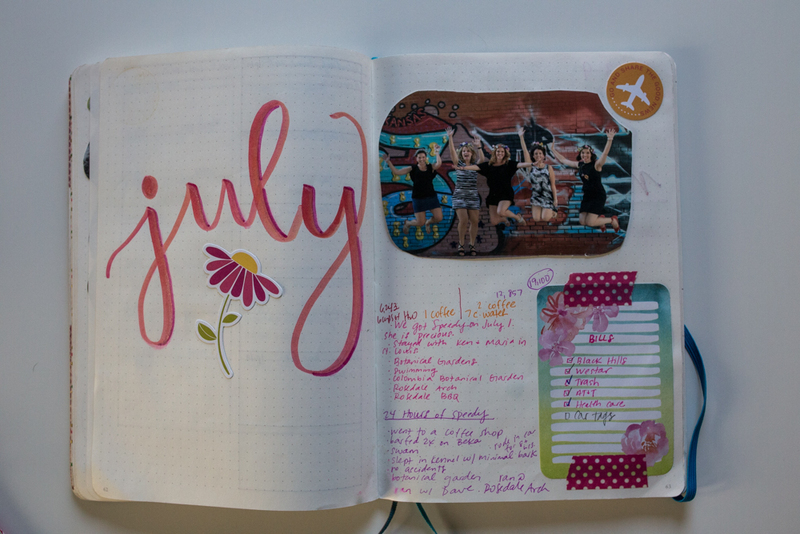 If you want to see my planner for this year click here. I purchased it at Target and think it will work great with my business. I also got a list notebook and a gratitude notebook. I hope I can do better about writing down the blessings God does through the year. This is SO neat, Beka! I love how it turned out. I definitely don't have the time to do this right now, but I love it so much! Also, I guess I never clicked on the link to that notebook in your last post, because that is the exact notebook I have that I have been using and just ran out of pages in! I am going to buy another one. I love how the cover bends and how large the pages are. Yay! I love how colorful yours is! 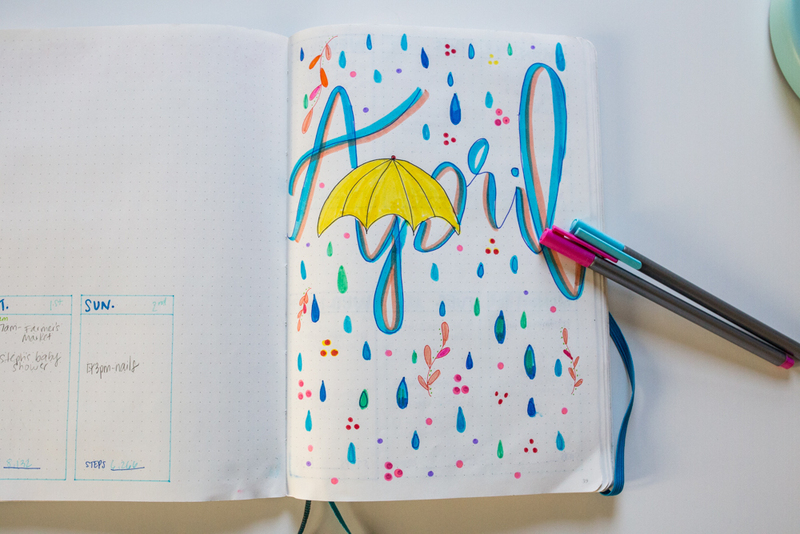 I have a normal planner but I use my Leuchtturm notebook more for journaling, list-making, recording the stuff I really want to remember and doing it a bit more artistically--I enjoy it! How pretty - you did a great job! I have an actual planner for most things, but I'm starting a bullet journal for the first time this year to keep track of more entertainment things; books to read/books read, movies to see/movies watched. I figure I can put in little reviews and/or quotes that I loved. Just have fun with it really.